A true reference design, this sublime optical cable is the brand's flagship design. It's pure borosilicate glass interior results in a truly stunning sound performance. Earn 167 loyalty points when you order this item. 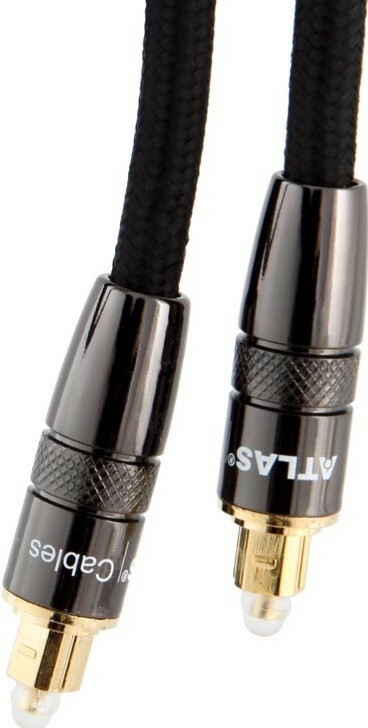 Atlas Mavros Glass Optical Toslink to Toslink Cable is the brand's flagship optical toslink cable that is crafted from a core of 280 strands of super-pure borosilicate glass alongside metal Toslink connectors. Thanks to its superior design, this cable is quite simply a reference class wide bandwidth optical design. 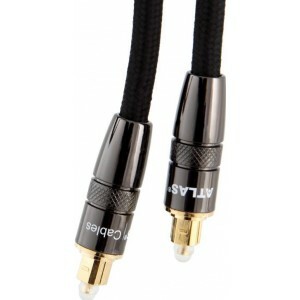 The cable is specially designed to reduce digital noise in high-calibre audio systems. The cable works brilliantly for example between a high-resolution media player and a DAC. This reference standard design utilises an incredibly pure borosilicate glass light-conducting core along with micro-polished metal connectors, in order to maximise the efficient transfer of the signal. Super precise alignment of the cable components and connectors ensures the cable is designed to deliver super low jitter, resulting in a very low noise level and a broad dynamic range.